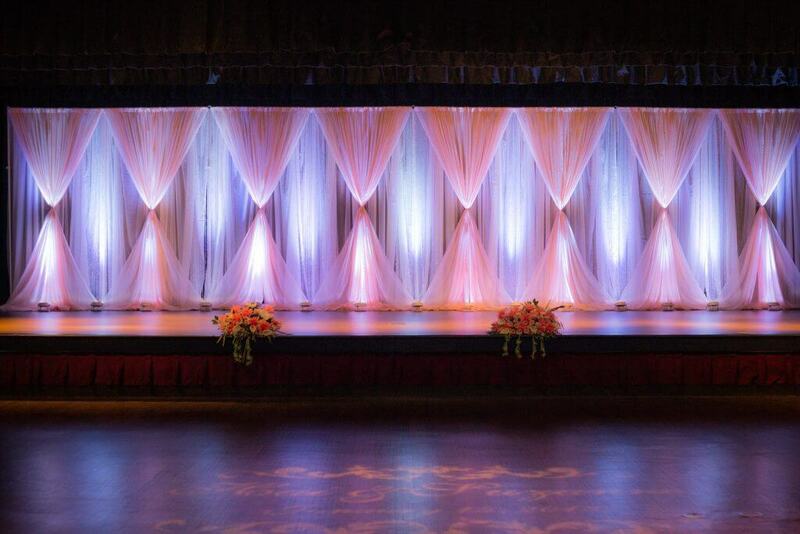 With our draping and event design professionals, we have the tools and talent to transform your venue of choice into an unforgettable and elegant event. 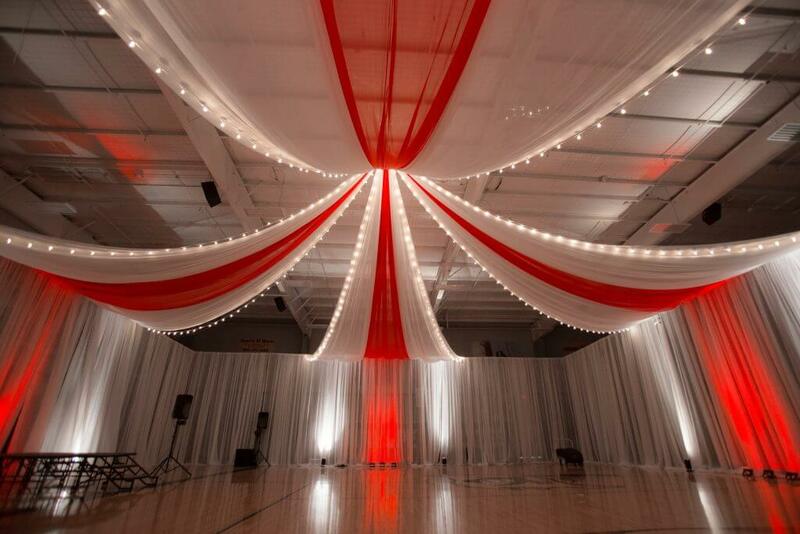 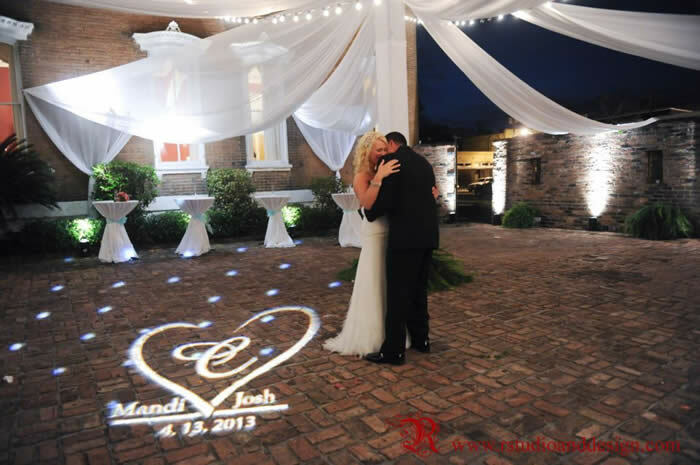 We offer adjsutable Pipe and Drape with white sheer fabric that will go as high as 16 feet in the air. 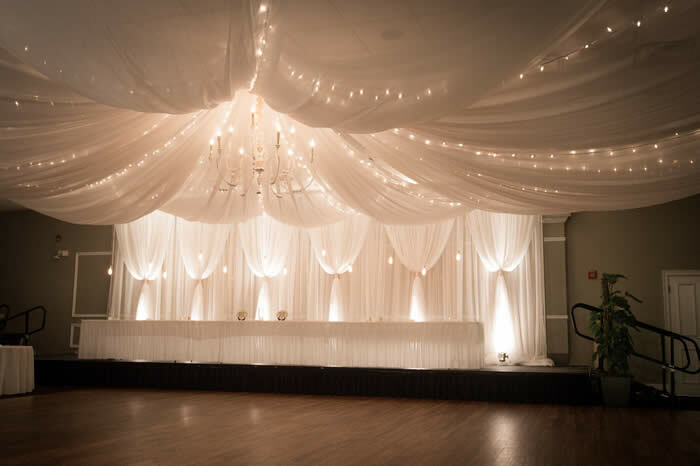 This is a wonderful way to hide unsightly walls, create partitions as well as soften the space. 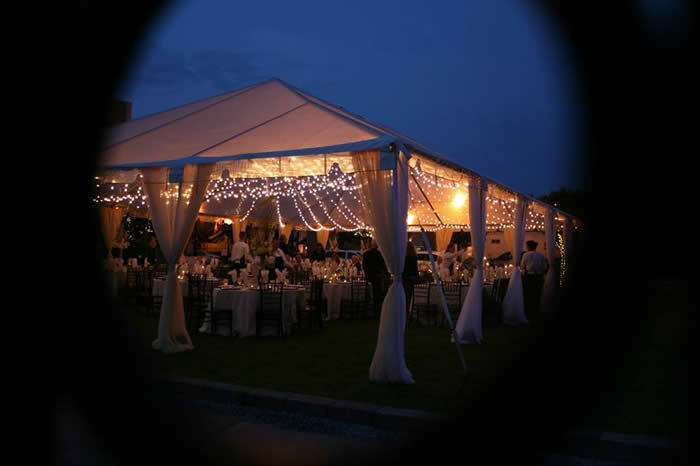 We can drape ceilings, arbors, doorway entrances, as well as other areas.